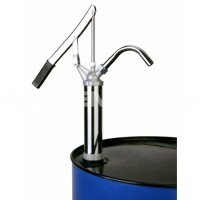 The Piusi Grease Bucket Lever Hand Pump is a lever hand pump fitted to a 16kg capacity grease bucket container, designed for the cost effective dispensing of small quantities of grease. The sealed lid on this grease transfer pump keeps the grease free from contamination but can be unscrewed to refill the container from a drum. 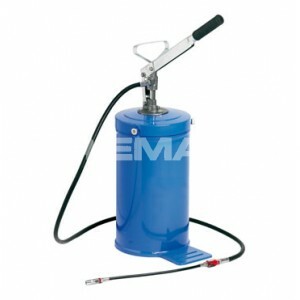 The integrated carry handle makes these grease bucket pumps easily manoeuvrable around the workshop and a foot plate ensures the pail is kept sturdy whilst the pump is in operation. 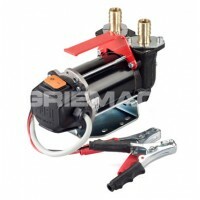 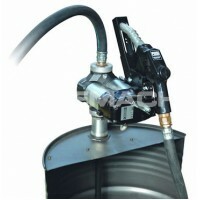 These manual grease bucket pumps come with 2 meters of high pressure delivery hose, 4 jaw connector and ball valve to prevent leaking when not in use and come complete with follower plate and suction pipe.